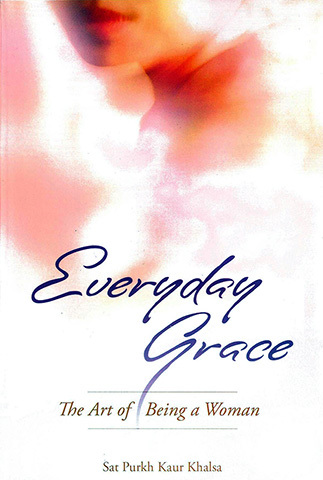 Everyday Grace by Sat Purkh discusses inner grace - something which every woman has within her. Yogi Bhajan frequently told classes of female Kundalini Yoga students that this same everyday grace was a quality which had to become their reality, their norm. This book explores a woman’s path toward the Grace of God – her highest identity, combining the author’s personal experiences with the Teachings of Yogi Bhajan. Sat Purkh writes with an authentic, contemporary voice, sometimes humorous and sometimes edgy. She succeeds in bringing these ancient teachings to life, and in so doing aligns them to the modern woman's experience. Filled with wise and practical insights for cultivating inner grace, you can turn to any page of this book to find an exercise or a lesson in how to become more mindful and in tune with your own inner light. The lessons will help restore a sense of balance, and offer a path back to equanimity; a reminder that peace and harmony is an inside job. You are extended a warm invitation to come along on a journey toward your true Self and, while on this journey, to learn the art of being a woman, entering into a deeper understanding of your nature, finding your rhythm, clarifying your projection, communicating effectively, learning new approaches to intimacy and commitment. Healing your Self will give you the means to help heal the world. Sat Purkh Kaur Khalsa has been singing for as long as she can remember. Her journey with the sound current began many years ago and she doesn't think is has an end — instead it has become her infinite quest for the anahat, or unstruck sound.